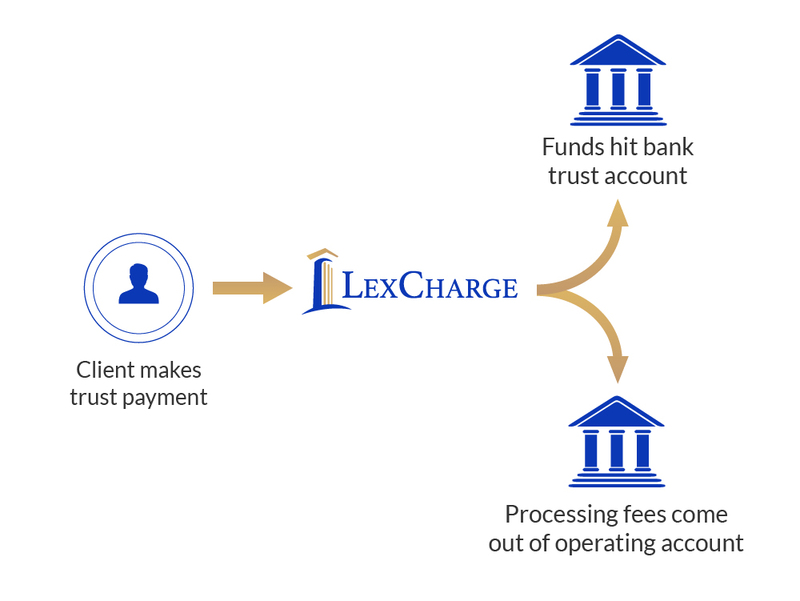 LexCharge specializes in payment processing for law firms, which means we walk you through IOLTA trust account considerations and help automate collections with recurring and online payments. Law firms have serious concerns when it comes to accepting payments. Our payment processing solution ensures that no processing fees will ever come out of your trust account. Not only does LexCharge completely handle trust accounting rules, we will also fund your trust account within 12 hours, much faster than LawPay or any other competitor. Payment plans are perfect for any practice areas where clients can’t pay a large balance at once such as Immigration and Criminal Defense. LexCharge, in combination with our partners at Rocket Matter, offers an easy way to automate payment plans for law firms. Set it up once, and you’re good to go! Looking for a way to implement your alternative fee arrangements? LexCharge can set you up with automated recurring billing. It’s “set and forget”: Establish your monthly fee, and LexCharge will collect funds from your client each month without your having to do a thing. Our integration partner, Rocket Matter, was founded in 2008 as the first cloud-based legal practice management software. They have been a leader in the industry ever since. Rocket Matter makes it a breeze to run all your invoices at once, send them electronically to your clients, and collect payments online. It makes billing and collections easier than ever before. What’s more, your revenues will skyrocket! To truly understand your fees and how you can save, contact us today!